Rabbi: elections fraud stems from ‘exile mentality’ imported to Israel; hareidi leaders should focus on fighting it. Hareidi-religious leaders must take action to stop elections fraud, Rabbi Amnon Bazak has warned. 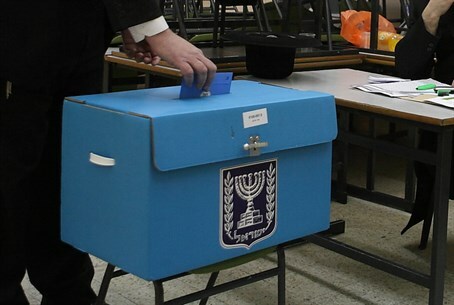 Rabbi Bazak, who heads the Har Etzion yeshiva in Alon Shvut, spoke about the recent elections fraud in Beit Shemesh – but argued that fraud has been unfortunately common in the hareidi community in other elections, as well. “The hareidi leadership is fighting the court’s decision to cancel the results of the elections in Beit Shemesh. In doing so, it is missing the main issue: why is fraud discovered in the hareidi sector again and again, without anyone – including the hareidi Torah sages – making an effort to stop the phenomenon?” he argued in a post to his Facebook page. Hareidi leaders are giving “tacit consent” by failing to actively address the issue, he charged. Ultimately, the problem is an “exile mentality,” he suggested. “The exile mentality according to which the Jew may trick oppressive (Polish) authorities in order to survive has continued even in the land of Israel, with the state of Israel and its institutions in the role of oppressor,” he wrote. Another problem, he added, is that “the formalization of halakha [Jewish law] has led to a certain dulling of senses regarding the place that innate human morality has in the system.” He linked the issue to that of hareidi army service, arguing that “the moral question, and awareness of the desecration of G-d’s name” caused by a refusal to serve “are not a significant factor” in the hareidi debate.